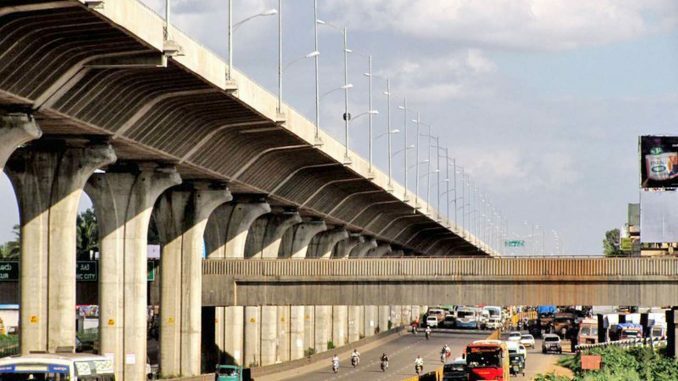 The Government of Karnataka (GoK) is planning to construct Elevated Corridors of around 90 kms at an estimated cost of Rs. 33,600 crores. 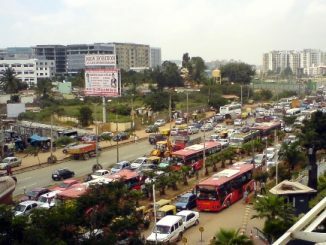 The government claims that this will address traffic congestion in the city. There is opposition from citizens and experts alike for this proposed project. On November 17th 2018, the Bengaluru Bus Prayanikara Vedike (BBPV) held a public discussion on ‘Elevated Corridors: The Need for Alternatives’ which brought together a panel of experts on mobility, city planning, urban commons and law, along with citizens to discuss issues surrounding this project. H S Sudhira of Gubbi Labs said, “Comprehensive city planning has not been the priority, despite having the Master Plan, Comprehensive Mobility Plan, etc. Such projects are sprung upon people who have to bear the consequences of irrational planning.” Echoing this, Radha Chanchani, an Urban Designer-Planner said, “Bus is the work horse for the city. We see that roads are getting wider to accommodate private vehicles and thus proposals for flyover, underpass and elevated corridors are made. What needs to be planned for are infrastructure for buses, pedestrians and cyclists”. Vinay Sreenivasa, advocate and member of Bus Prayanikara pointed out how the proposed corridor violates the constitutional principles by claiming public resources, meant to “sub serve the common good”, for the benefit of a small minority of car users. He said that the corridor, as it stands, violates a number of laws including Karnataka Tree Preservation Act, Karnataka Town and Country Planning Act, the 74th Constitutional Amendment as well as several High Court and NGT orders regarding impact assessments and due process. He emphasized the need to conduct a “Cumulative EIA” by looking at the larger impact of all the different parallel projects being planned in the city, instead of piecemeal impact assessments for each project separately. Shaheen Shasa, from Bus Prayanikara Vedike, said that the bus can be the game changer for Bangalore’s congestion. BMTC with 6,200 buses have a ridership of 45 Lakh. Metro, even after Phase 2 completion, may not reach its estimated ridership of 15 Lakh. She said that a 5-point action plan of increasing the capacity of BMTC, creating more space and priority for buses on the road, improving connectivity, including last mile connectivity, and reducing bus fares can significantly increase the ridership in buses and reduce congestion in the city. Dr. Sylvia Karpagam, a public health activist said that urban development and destroying nature is increasing the instances of communicable diseases like Swine Flu, Nipah Virus, among other such diseases. “If the government has money to spend on Elevated Corridors, they should utilise the same amount on improving public health infrastructure in the State. Putting neonatal care centres, tackling malnutrition, constructing new Primary Health Care Centres, and others, will help in improving the health conditions and give dignity to crores of people,” she said. She added that it was shocking to see that the amount of money required for all this is just a few crores and the government claims to have no money for these, but it has the resources to spend Rs. 33,600 crores on elevated corridors. The citizens present at the event also shared their views and expressed the need to build a people’s movement around transport and development projects in the city. They expressed that they want these resources to be utilised for BMTC and not on the elevated corridor. There was also a strong sentiment to approach urban planning in a more holistic manner which looks at mobility and not just access. BBPV will work with various groups to build a campaign around the issues discussed in the event. Note: This press note was shared by Bangalore Bus Prayanikara Vedike and published here with minimal edits. 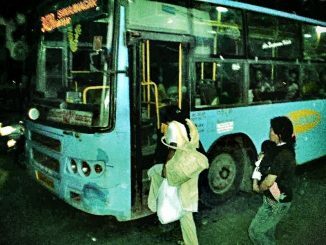 Members of Bengaluru Bus Prayanikara Vedike called attention to many problems they face with BMTC, and urged the authorities to find solutions to make the system more usable and affordable to all. 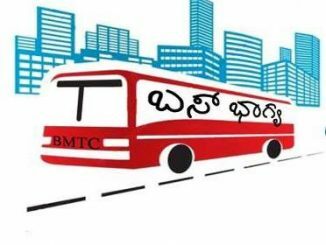 Bengaluru Metroplitan Transport Company (BMTC) needs a lot of changes in its functioning for it to be effective. Here is a list of changes suggested by people, that will make the BMTC system work more efficiently.